Every person with a grill has a favorite BBQ sauce. Isn't it time you had your own signature sauce? Here you'll find a basic BBQ Sauce recipe plus a few ways to tweak it to make it smokier or spicier. All this homemade BBQ sauce needs is your endorsement with one of our printable labels. 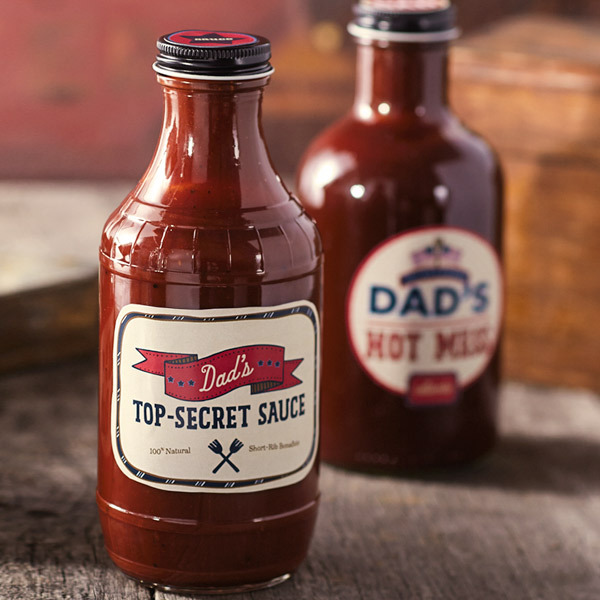 Don't be shy about sharing bottles of your special sauce at Christmas, Father's Day or other special occasions. You owe it to your fans. Stir ingredients together in a bowl to combine. Taste and tweak the seasoning so that your creation is balanced the way you like it. Pour the sauce mixture into an 18 oz. bottle using a clean funnel. Optional: Print our BBQ sauce bottle and cap labels, cut out your favorites and attach to bottle with double-stick tape. To create a smokier sauce, add ¼ to ½ teaspoon of liquid smoke. To create a spicier sauce, add ½ to 1 teaspoon cayenne pepper.